Manicures, Massages, and spas are the important factors for the female and male. From the hectic day, people want some release of energy from the body and they want some relaxing environment. Just like a female, the male also wants to take such treatments and wants to feel younger, less depressed and more charming. People want such a calm and relaxing environment to feel free and release the energy from the body. The decoration of the salon will add positive effect into your salon. Salons are the same from the outside, barber chairs, all equipment’s and the salon accessories. But the salon should be an attractive manner to attract the people in your salon. There are many competitors in the market. You have to arrange and decorate your salon to add unique style. A salon owner should know that what unique style you should add. 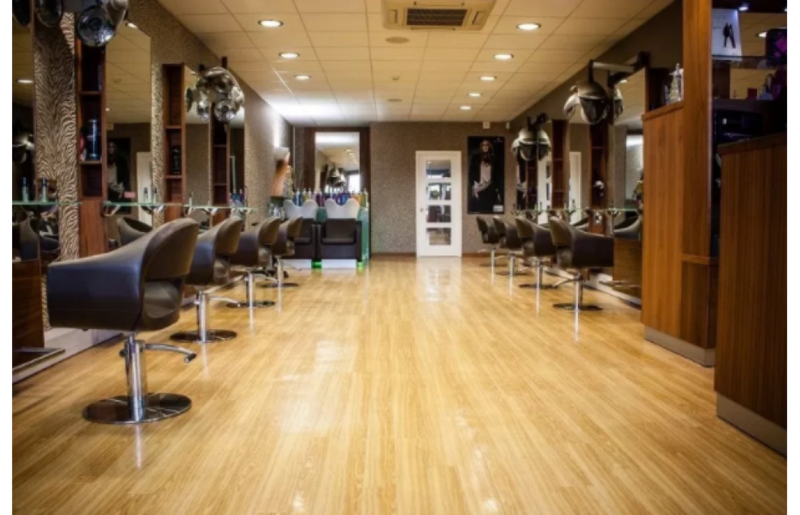 There are five ways to add unique style and attract people into your salon. There are some other things to do than the furniture or maintain the license. You should know about the latest trends of the salon, the latest styles, and colors application. Make sure that you are getting the right and perfect supplies into your salon. You should add unique style, not to follow the other trends of your competitors. When your customers come into your salon, they want relaxing environment. If you pick some flower basket and hang into your salon then it will be a plus addition and make the more comfortable environment and also spread the fragrance. Indoor decoration will attract people into your salon. The decoration of the salon will promote your indoor attractiveness. If your behavior is positive with your clients then clients will come to your office on regular basis. They should feel like they get every treatment here. If the customers are waiting for their turn then you should provide them some magazines or tablets. Such services will attract them to come to your salon again and again. If you are some extra skills or techniques then you don’t have to hesitate. In the market, maybe there are some limited techniques and treatments, but you have to claim it if you are a master in some techniques. Such techniques will help to attract more people into your salon. Some stylists do not want to cross the limits and follow the other competitors. Such owners can not engage more people. Social media is the great way to advertise your business to engage more people. You can create a Facebook page and use it to advertise your special offers. It will be the only start for your business. You should also share your work or experience on your Facebook page to engage more clients. You should create a unique portfolio and display your services and salon pictures. Social media is common and before go somewhere, people search on social media for best experience professionals if you advertise then it will attract people into your salon. Women go to the salon on regular basis but the men do not. So here are some strategies that how to engage men to the salon. There are some other strategies to attract the men. 1. How to build strong communication with men? Men usually not so talkative in nature. They want a quiet environment. When you are training your new members for spa or other treatments, you have to tell them that how they should build the relationships with the men clients. Don’t chat the other things with the men, choose the topic and talk softly, for example, communicate about themselves so they feel easy and it will make a strong relationship. You should judge the personality of the client then discuss the things like their hobbies sports etc. Some men more talkative, that’s why you should train your team members as the good listeners. If you want to have growth in your email database then you should advertise some package and services only for men. If you advertise in this way, more men will engage and your email database will grow. Men will definitely feel much better and relax for “men special offers” and they feel special for such service. You should offer only a few important and common treatments. You may outline your service as” special treatment for men” it will also engage men into your salon. If you display complex statement then it will attract people into your salon but not much. Only women can understand such complex words description. Men only get the simple words. Men are happier with simple define service which they get more easily than the complex services. You should write the simple word, for example, write simply as “Special cleansing treatment for men” and you should also describe the luxury treatment for men. So they can easily get the right treatment for themselves. In the salon, there are many unnecessary odors such as crème, lotions etc. Many men don’t like such irritating smell and they want some soft fragrances. You should have ventilation in your salon which immediately release the smell from the area. A decoration of the salon depends on the super taste of the owner so decorate your salon with odorless products for example art work. A soft scent will appeal women and men into your salon.